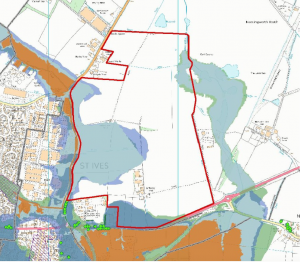 As discussed at the last Parish Council meeting, the latest draft of the Huntingdonshire Local Plan to 2036, Housing and Economic Land Availability Assessment includes a proposal to use a very large area of land between St Ives and Needingworth for a new housing development. 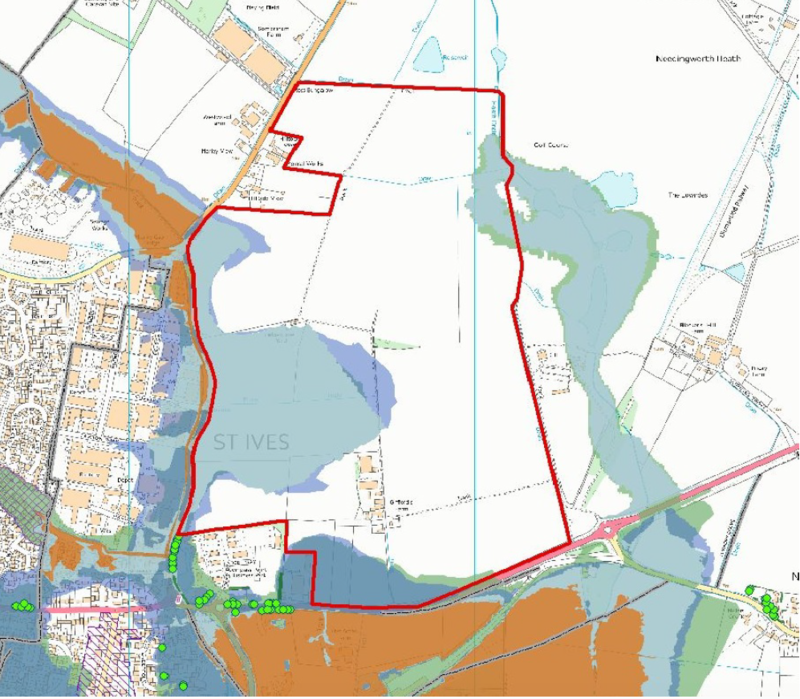 This land is outlined in red on the map above, and according to the proposal could potentially be used to develop an estimated 1,980 dwellings, plus a school, shops and other amenities. Needingworth Parish Council have written a letter expressing their concern about the potential impact on local infrastructure, especially traffic, if this development were to go ahead. 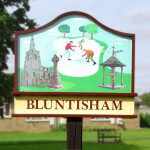 Bluntisham Parish Council support Needingworth’s concerns. You can read the letter here. The map above and further details are on page 34. It is important to stress that this proposal is only at the consultation stage, but the deadline for comments is Monday 7th. If you would like to comment on this proposal, please click here.